Big, solid, honest, comfortable, fine handling and very economical four wheel drive chain-cam diesel estate car, sensibly priced. Unique. Just a little bit old fashioned. Early cars had DPF problems. Subaru enthusiasts, pony club members, and anyone living up a muddy lane or above the snow line had been clamouring for this for years. Subaru now expects to sell 85% of Legacy Sport Tourers and 95% of Outbacks with its new ‘Boxer' diesel engine. And so it came to pass, nine years after the Subaru engineers were given the green light to produce the world's first boxer diesel-powered engine, here it is. Obviously we're not going to be dishing any awards for cutting-edge industry initiatives here, but that's another issue. The key question is whether it's all been worth the epic gestation? 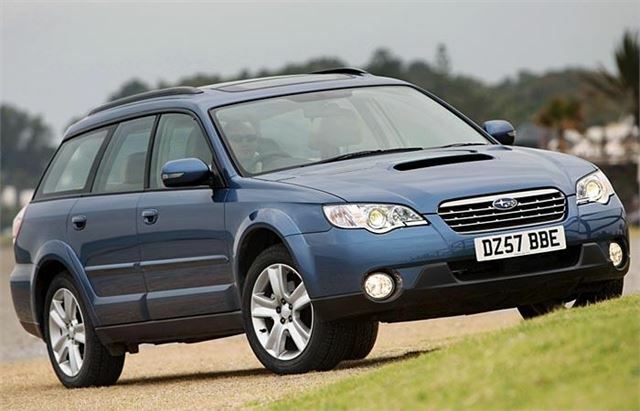 And if those facts weren't impressive enough, then take the starting prices: a smidgen under £20k will buy the surprisingly well-equipped Legacy TD, or the same entry-level Outback for £21,495. Great Car - Shame about the poor engne development! When running brilliant, unfortunately so many expensive repairs had to be written off. Just goes! Whatever the weather!